Breath – It’s What We Do! Take a deep breath, wait a second and exhale slowly. Do you ever think how often you do that every minute of every day – probably not because taking a breath is just what we do! 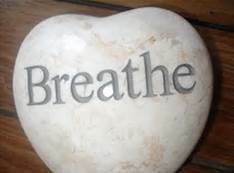 Breathing is one of those life functions which most just take for granted and never stop to think about, at least not until they get sick – or until they get really ill with like cancer or COPD. November is National COPD Awareness Month – a time to keep people informed, updated and educated about what many of us call the ‘invisible’ disease. It may seem invisible because until you get into later Stage III or the final round of Stage IV COPD, most folks with COPD are not on oxygen and seem perfectly normal – at least until they try to exercise, do major physical labor or sometimes just get around smoke, perfumes or obnoxious odors – that is when they will fight for the very thing that gives us all life and that is a BREATH! Contrary to what many may think, lack of oxygen is not the problem for those with COPD, at least until they get solid into the later stages of it. COPD is a non-curable problem with the lungs and their function. As it being National COPD Awareness Month, I have restarted this blog which I started back when I was diagnosed with late Stage III COPD – and my goal for the next few weeks in particular is to educate/inform those who know little about COPD while at the same time begin again with sharing my story, my travels with COPD. With that ‘Wheezing Away’ is up and running again. To close I would like to share a brief, simple poem constructed by someone very dear to my heart while they fight their fight with COPD. Enjoy the poem and until next time smiles, hugs, prayers, blessings and steady breathing………Mr. William…….. Breath is a fact of life, Breath lost will cause much strife. Breath makes the muscles go, Breath helps those muscles grow. Breath keeps your mind a thinkin’, Breath lost makes your mind stinkin’. Breath fuels the heart to pump, Breath lost make the heart a lump. Breath is invisible as a ghost in light, Breath invisible makes living just so right. Previous Previous post: What Is Your Motivation?